So Caleigh's room is closing in on being done. We've almost finished the bathroom in the playroom. We just need to add a few shelves, throw up some photos and whola it will be done. What did I find? 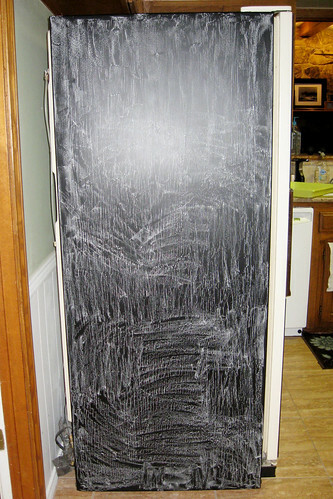 Chalkboard Paint! It was extremely easy to apply. Very thick. 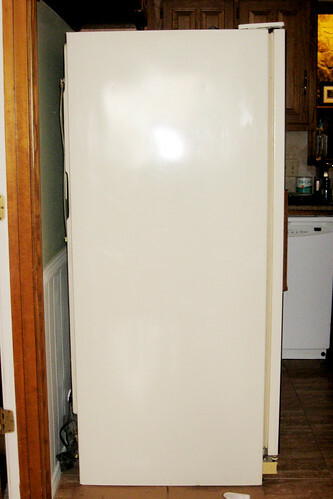 I didn't even blink an eye, but maybe the age of the fridge made it an easy choice. 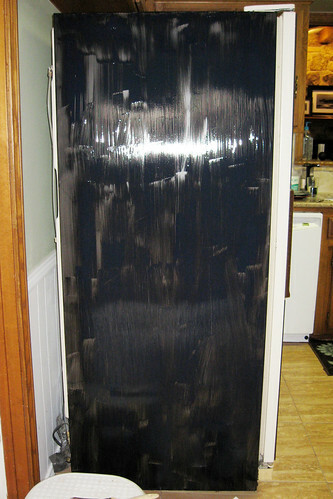 After the paint dries your supposed to "prime" it with a good coat of chalk. After that your good to go. To Do lists. Supply Lists. 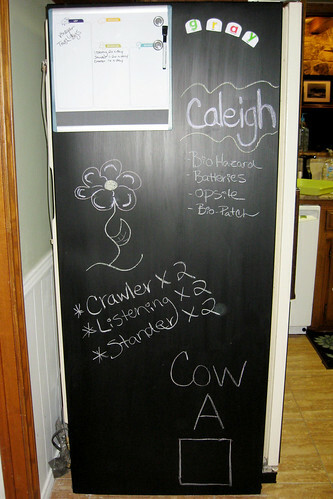 Caleigh's Magnets. Doodles. Anything else fun you can think of. I'm loving it. I want to paint everything with this stuff!